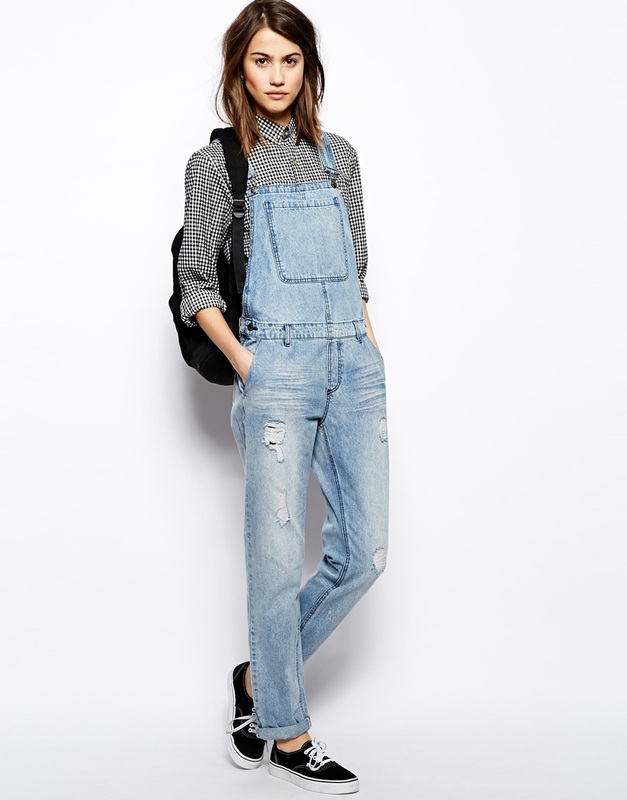 DUNGAREES. Or overalls. Whatever you want to call them, I am totally embracing them this year. I found the pair above in H&M and I tried on the size EUR38 (the largest ones that they had) and although I could put them on okay and they did fit, they didn’t fit they way I wanted. I’m looking for a very relaxed, slightly slouchy feel and that won’t work if the pants part look just like a skinny jean. I went to THREE different H&M stores and they didn’t have bigger sizes anywhere, it was super frustrating as I really want these, but in a size 40 or maybe even in 42s. I also quite like the ones pictured below, from Noisy May, which are sold out, though I think I’d prefer a darker color, like the ones from H&M. 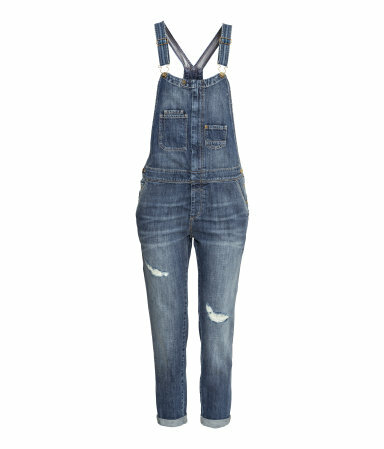 Anyways, I’m totally hoping to buy a pair of dungarees while I’m in NYC. 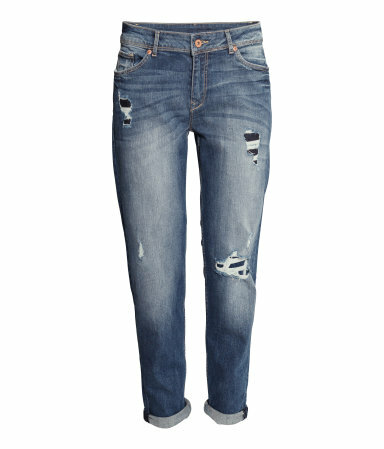 Continuing on with unflattering pants, I also am on the look out for a pair of BOYFRIEND JEANS. I used to have one pair, which my boyfriend completely hated, and then I cut the up and I now have a pair of boyfriend jean shorts, which I definitely got my share of wear during this summer, but I want a nice, beat up pair for Autumn too. These are also from H&M but I didn’t see them in store so I haven’t tried them on. I did try on two pairs in Zara but I didn’t like how those looked. I’m not entirely sure that boyfriend jeans are for me (I have very wide hips. Like crazy wide. Life is so not fair.) But maybe one day I’ll find the perfect pair for me, here’s to hoping. 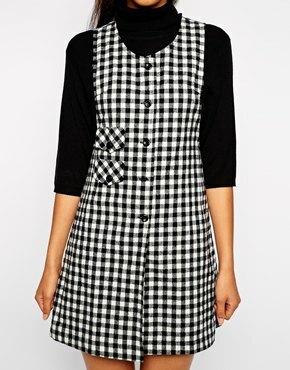 Another item on my list is a PINAFORE DRESS (this one is from Pop Boutique) preferably in a cute gingham or tartan print. Actually, TARTAN PRINT might be a separate item on my list. I always love tartan print in Autumn but this year I’m taking a Scottish Literature course so there is extra tartan love in the air. I love cutesy kitsch clutches and this one is not just on my wish list but it is actually on my I’m-totally-going-to-buy-this list. It probably will only be able to fit my keys but whatever, I want it. 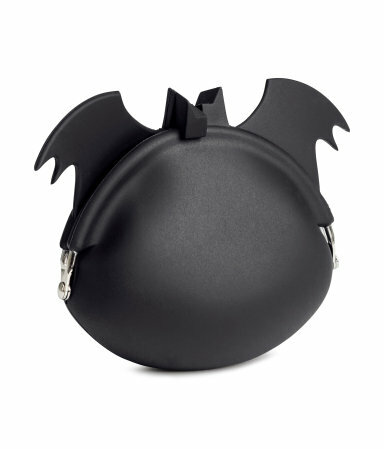 The fact that it is bat shaped is like the icing on the cake, I am a huge huge Halloween fan. Anyways, that’s all from me for now but what’s on your wish list? I’ve seen loads of Halloween themed clothing this year (ASOS, New Look), not fancy dress but regular clothing, which is pretty cool.